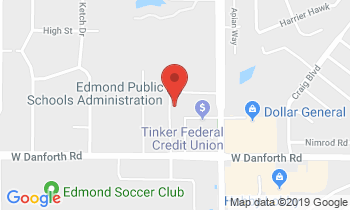 Edmond Public schools has one of the most robust CareerTech tech programs in the region that dates back several decades. In our classrooms, you will find a variety of CareerTech programs in Marketing, Family and Consumer Science, Agriculture, Business and Information Technology, and the Gateway to Technology Program. Many programs offer students the opportunity to compete in competitions where they can exhibit what they have learned in the classroom. Additionally, our partner, Francis Tuttle Technology Center, offers a Pre-Engineering Academy and infusion programs (two based in technology and one in health) to high school students. Another unique offering is Project HOPE-a credit recovery program for at-risk students that provides academic instruction and career training in a unified effort. By partnering with Francis Tuttle, the district is able to offer to students a greater variety of individualized educational choices that would not otherwise be options.